Many people carefully monitor their glucose levels for signs of diabetes, but how many do the same with insulin levels? Your body requires constant circulation of insulin in the blood all the time, even when you're not eating. The level of insulin circulating in your bloodstream is a good indication of your overall health and may be able to predict your risk of sudden death, so it's really useful to know your insulin levels. But what levels of insulin are normal, and how do you know when things have gone awry? 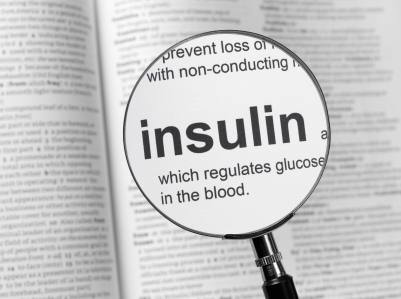 What Are Normal Insulin Levels? Your insulin levels will be typically measured in micro units per milliliter (mcU/ml or mIU/ml). However, experts often disagree on what should be the "ideal" levels of glucose. According to Health Central, the levels should be about 10-20 mcU/ml, while a Dr. Mercola says the normal levels should be under 5 mcU/ml. However, according to Stephen Guyenet, a researcher from University of Washington, the average blood insulin levels in the American population are 8.4 mIU/ml for women and 8.6 mIU/ml for men, but given the prevalence of obesity and metabolic disorders in the US, the ideal level is probably between 2-6 mcU/ml. Insulin levels are often assessed after fast for some time. One study, carried out in Arizona, found that women who had a fasting insulin level of 8 mcU/ml were more than twice as likely to develop prediabetes as those with 5 mcU/ml insulin levels. Women with 25 mcU/ml fasting insulin level had over 5 times the risk of prediabetes than women with 5 mcU/ml insulin level. How Does Insulin Benefit Us? To understand why it's important to keep normal insulin levels, you need to know how insulin works. The first role of insulin is to control the levels of sugar in the blood, maintaining them within the normal range. Whenever you eat carbohydrates, they are broken down into sugars, which are absorbed into the blood as glucose. Peaks in blood sugar cause the pancreas to secrete insulin. This promotes the process of bringing blood glucose into the body cells to be used as the cells' main source of energy. The second major function of insulin is to store any surplus blood glucose as an energy supply for future use. Glucose levels and subsequently insulin levels will usually peak after you've eaten a meal. Insulin helps turn glucose into glycogen that's stored in the liver. When glucose levels decrease, for example between meals, this glycogen is converted back to glucose and released back into the bloodstream. This way, blood glucose levels are kept within a narrow range. Since the insulin is so important to us, it's vital to maintain normal insulin level. But what if you have abnormal insulin levels? The blood sugar level can become elevated if there are reduced amounts of insulin secreted into the blood (diabetes type I) or the body cells become desensitized to insulin (type II diabetes). If this is not carefully managed, patients may develop problems such as kidney disease, nerve damage or loss of vision. You may experience increased hunger, together with cravings for sugar and carb-rich food. In turn, you will gain weight. Reduced levels of the mineral magnesium in your body cells. Magnesium is needed to relax your blood vessels and promote good blood circulation. Increased retention of sodium, which in turn results in body water retention, leading to hypertension. Lowered levels of beneficial high density lipoprotein (HDL), and increased levels of harmful low density lipoprotein (LDL) and triglycerides. All these factors contribute to the development of heart disease. Increased quantities of inflammatory compounds in the bloodstream. These can directly damage the walls of blood vessels and promote the formation of clots, which could result in respiratory failure or a heart attack. A possible higher risk of cancer. This is because insulin promotes cell proliferation. Fatty liver, polycystic ovary syndrome and increased blood pressure can also happen. Low insulin level can be mended by taking insulin injection. But cases of excessive insulin level are common and hard to deal with, so we will further talk about lowering and maintaining normal insulin levels. To lower your levels of insulin, try eating more dark green vegetables and whole-grain foods rich in fiber. Avoid alcohol and anything containing refined sugar or trans-fats. Patients who followed these guidelines had decreased fasting insulin levels and female patients had lowered insulin resistance. For men, reducing the waist circumference may have a role in decreasing blood insulin levels and insulin resistance. Exercise can enhance insulin-mediated uptake of glucose into muscle tissue, and therefore reduce the body's need for insulin. Physical activity is particularly effective when combined with a low glycemic index (GI) diet, which can also reduce the body's insulin requirements. The glycemic index measures the effect of a particular food on blood glucose levels. One study showed that obese older adults with prediabetes lost weight and decreased their blood insulin after both exercising and eating low-GI food. To prevent the progression of prediabetes to diabetes in susceptible patients, especially those who are obese, doctors recommend taking the drug metformin, in addition to a healthy diet and exercise. However, metformin was found to be more effective in younger, heavier patients than those who were aged 45 or more.